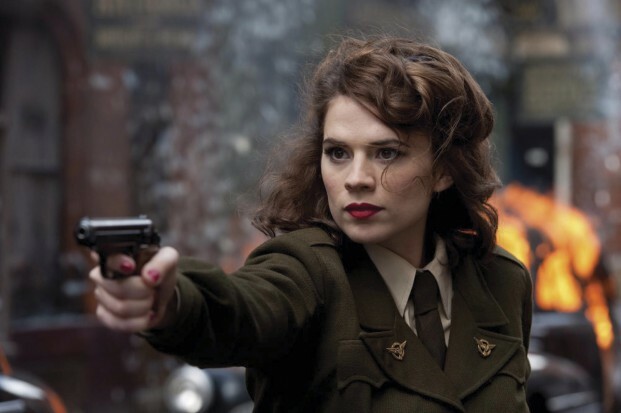 Have you ever wondered what is the exact lipstick shade worn by Agent Margaret “Peggy” Carter (Hayley Atwell), the Marvel character who is among the founders of S.H.I.E.L.D.? The British actress, who’s currently filming the tv series Agent Carter, revealed it on her Twitter account. 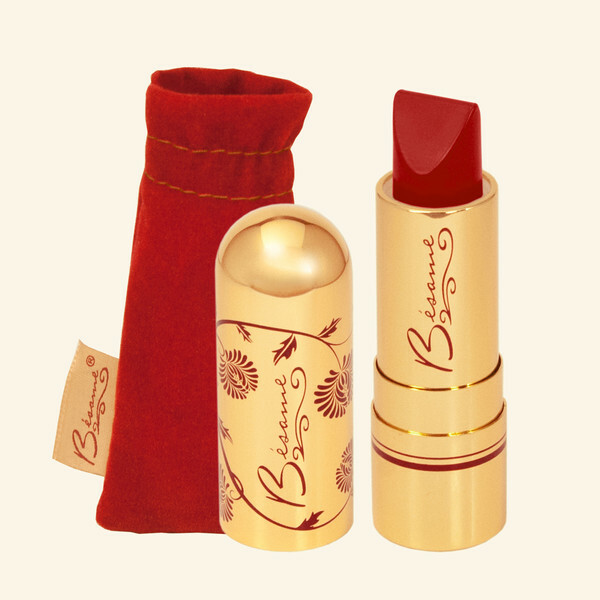 When it comes to retro and glamourous shades, there’s one way to go: Bésame Cosmetics. 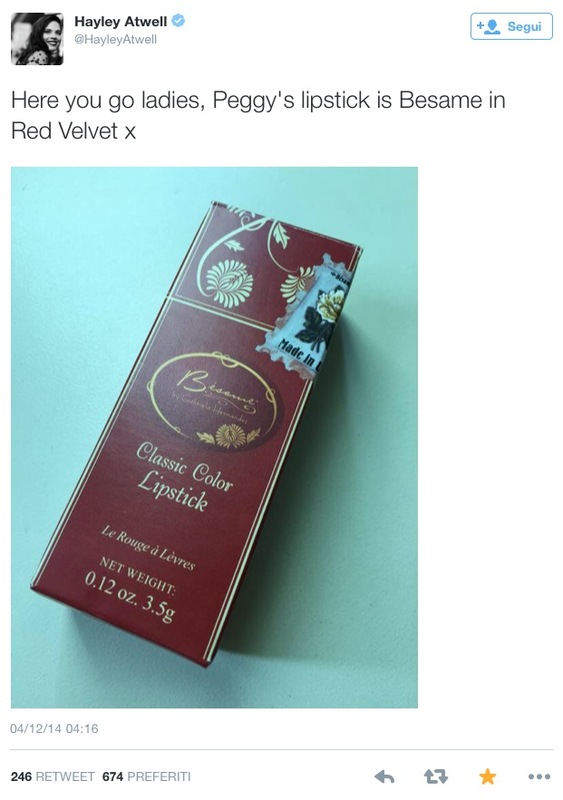 The lipstick worn by Hayley is Red Velvet, a 1946-inspired colour. It’s a deep red with a semi-matte finish, suitable for everyday wear. It’s one of the Bésame lipsticks I’ve tried, thanks to lovely samples I received from the American brand, and I can assure you it’s a fantastic colour. If you are red-lipstick lovers, you must have it in your collection.